NAGASAKI - South Korean businesses are increasingly acquiring real estate around the Maritime Self-Defense Force’s base on Tsushima Island, arousing speculation that some of the purchases are related to espionage by Seoul. Tsushima is situated in the Sea of Japan about 50 km from the Korean Peninsula and is administered by Nagasaki Prefecture in Kyushu. In June 2008, a South Korean resort facility was opened on a lot adjacent to the MSDF base in charge of keeping tabs on the Tsushima Strait. “We were misunderstood to be working at an espionage establishment (of South Korea) to monitor the base,” recalled a Japanese woman working for the resort facility, called Tsushima Resort. Conservative members of the Diet and local politicians made a series of fact-finding visits to the facility, while right-wing activists delivered loud, angry speeches in front of it. “The situation was terrible,” the female worker said. Tsushima Resort accommodates 60 to 70 tourists mainly from South Korea and employs five local workers. Some 7,000 people stayed there last year, while visits by lawmakers continue now as do protest activities by right-wingers, according to the worker. 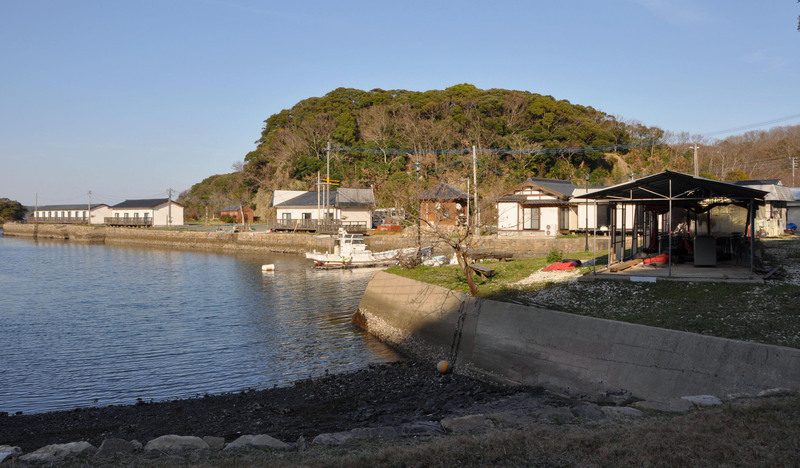 Following the opening of Tsushima Resort, two South Korean inns began operating around the naval base to capitalize on an increase in the number of tourists visiting from South Korea. In addition, a South Korean business purchased a vacant land lot near the base located in the middle of the island and within half an hour by car from Tsushima Airport. Some 180,000 South Korean tourists, a new record, visited the island last year, compared with 30,000 to 50,000 Japanese, according to the Tsushima Tourist Association. “South Koreans have stronger momentum” than Japanese, said Takashi Oura, a member of the Tsushima Municipal Assembly. Purchases of local land by South Korean businesses are likely to “keep increasing steadily” in the absence of a law to regulate them, he added. 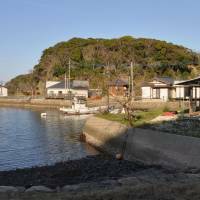 Aged Japanese owners of local inns and other accommodation facilities are struggling to find heirs of their businesses as young people are leaving the island. Given Tsushima’s geographical closeness to South and North Korea, the MSDF base is an important strategic point for Japan’s security. The Imperial Japanese Navy had a torpedo boat base there during World War II. “The situation will continue to grow worse unless effective measures are taken” to rein in property purchases by South Korean businesses, said Mamoru Nishi, secretary-general of the tourist association.